Why can’t Christians love Lent like Muslims love Ramadan? 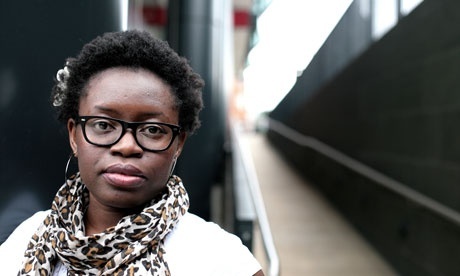 Bim Adewunmi says she loves Ramadan. When I compare Bim Adewunmi’s enthusiasm for Ramadan with the groaning I sometimes hear among Christians who are giving up chocolate for Lent (smile), I feel that we haven’t embraced the rich possibilities of this season. Jesus spent 40 days in the wilderness, fasting and praying and being tested by the devil. Why can’t we get a little closer to that in our observance of Lent? None of us is Jesus, but we could fast a little more seriously, come to church a little more frequently, say our prayers a little more fervently during these 40 days, and, like Bim Adewunmi, we could throw out cheerful greetings to everyone we meet on the street. Jesus said that when we fast we should anoint our heads and wash our faces (Matt. 6:16-18). Wasn’t that a way of saying we should look cheerful instead of miserable? Wouldn’t it be wonderful if people could say about Christians during this season: “Everyone is better during Lent, more patient, more kind,” instead of saying, “Those Christians sure do grumble a lot about giving up chocolate!”? This is your invitation to a holy and happy Lent, one like you’ve never experienced before, and maybe one you will look forward to next year. 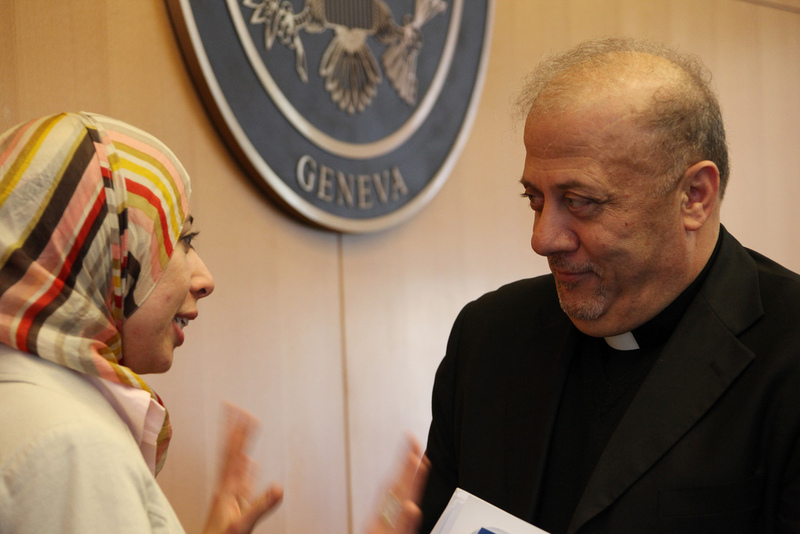 Father Nabil Haddad is the Catholic priest who invited six of us to World Interfaith Harmony Week in Amman, February 1-7. For several years now Father Nabil has been working with Episcopal priest Bill Sachs, who convenes our interfaith group in Richmond, and he and Bill agreed that it would be good for us to have this experience. Apparently our group is something of a novelty–Muslims, Christians, and Jews who not only “dialogue” about the serious business of interfaith relations, but who also eat together, travel together, and sometimes, just for fun, bowl together. Father Nabil wanted to see that for himself, and also wanted his colleagues here in Jordan to see it. And so he invited us to his house for dinner, where we were greeted by his wife and adult children (“Wait a minute. Wife and children? Didn’t you say he was a Catholic priest?” Yes, he is. 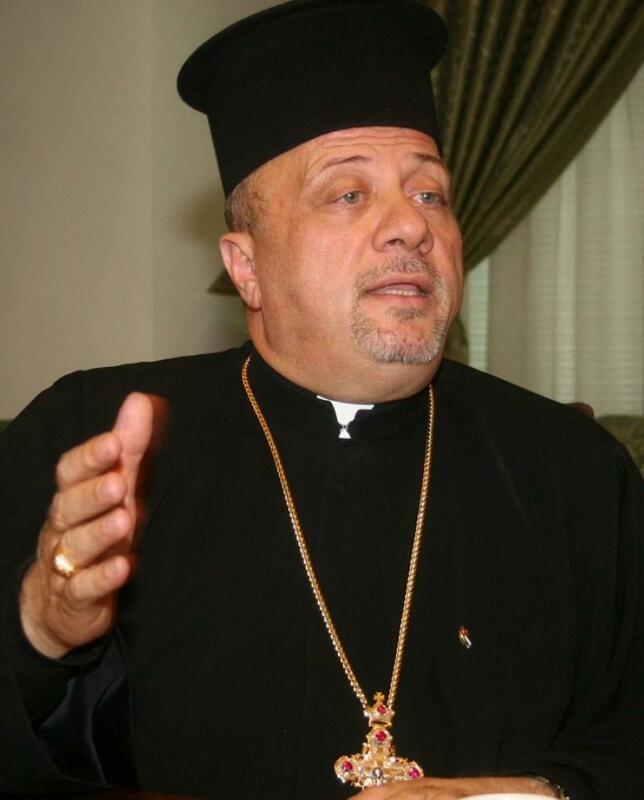 A Melkite Catholic priest, which is closer to Greek Orthodox than Roman Catholic, and yet in full communion with the worldwide Catholic Church). His children were perfect hosts (I got the feeling they’d had some practice), and his wife had cooked the entire meal we enjoyed, and we enjoyed it entirely. Along with our delegation Nabil had invited a half-dozen US Army chaplains he’s become acquainted with. This was a surprise to us, but we’re learning that with Father Nabil you have to be ready for almost anything. The chaplains turned out to be terrific guys and one of them identified himself to me as a Southern Baptist pastor from Washington state. As we were getting to know each other our conversation was interrupted by the news that the Jordanian pilot being held by ISIS had been executed, and in the most horrific way imaginable. Someone asked Father Nabil if he would lead us in prayer, and we all stood and joined hands while he prayed for the family of this pilot, and for the country of Jordan, and for peace in the Middle East. For the rest of the evening this tragic news was the topic of conversation. We ate dinner with the television on, and at one point Father Nabil got a call asking if he could come and make an appearance on national television. That’s when I got into a conversation with the chaplain who told me that Nabil was like Martin Luther. It surprised me, coming from him, because in the course of conversation I learned that he was a Mormon, and I felt my spine stiffen just a little bit. 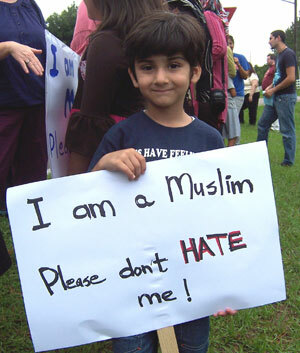 I can talk to Muslims and Jews. I can even talk to Episcopalians (smile). But here was someone who was not exactly “orthodox,” if you know what I mean: someone whose religion was just enough different from my own that all I could see were the differences and all I could feel was an urge to distance myself. But I stayed with it. I kept on talking with him. And then he said that remarkable thing, with tears in his eyes, and it made me look at him in a different way: as a fellow human being, certainly, but as someone who was also looking for peace in the world and between our warring religions. That’s been my experience over and over on this trip, as I ride on the tour bus beside a Muslim imam, and talk with my Jewish rabbi roommate after the lights have gone out at night: I’ve been seeing all the ways in which we are like each other on the human level, but also in our desire to see that day when all of God’s children can live in peace. Father Nabil said, “When my Jordanian friends see you–Muslim, Christian, Jew–eating together, traveling together, laughing together…I think they are very jealous! You are setting an example for us.” That doesn’t mean my interfaith group is trying to create “one world religion.” Not at all. In fact we are finding that the more passionately we embrace our own religious identities–as Christians, Jews, and Muslims–the more we are able to respect and appreciate each other’s religions. And what is central to each of them is a love for God and neighbor. Which makes it clear that ISIS is not Islamic. When ISIS killed that Jordanian pilot (a faithful Muslim) it let the world know that its agenda is not Islam vs. Christianity; its agenda is to gain control through fear, and it doesn’t care who it kills in order to achieve that goal. * But suppose that instead of eyeing each other with suspicion the world’s religions joined hands and prayed–for the end of ISIS, the end of extremism, the end of fear? Yesterday was Ash Wednesday, and often on that day I fast—that is, I “go without food for religious reasons.” Last year, for example, I promised myself that every time I felt a hunger pain on Ash Wednesday I would think “Jesus is Lord,” to remind myself that my stomach is not. Plus, I love the Old Jerusalem. It’s near the intersection of 7th and Franklin downtown, just a few steps up the hill and to your left. There’s a sign on the front door that says “Halal,” which is the Muslim equivalent of “Kosher.” One of the things I love about the restaurant is that you can take your Muslim or Jewish neighbors there without any fear of offending their dietary restrictions. There’s no pork on the menu, and no alcohol either. Everything is prepared according to the traditions of the Middle East, which is home to both Muslims and Jews. For all of those reasons, it’s where I usually meet with my interfaith group. We sit at a big table near the window, and the owner brings out platters of hummus and warm pita bread to get us started. Soon we are munching on (delicious!) 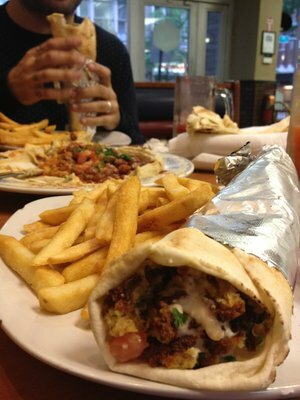 falafel, digging into hearty beef and chicken shawarma, and finishing up with hot tea and “ladies fingers” for dessert. Throughout the meal we are talking and laughing and making wild gestures, often to the servers to bring us more food. It’s fun. Which is part of the reason I was there yesterday. The owner, a smiling, gregarious Jordanian named Tahir, wants to renovate the restaurant. He wants to create the kind of ambiance that will attract the dinner crowd (right now the Old Jerusalem looks a whole lot more like a lunch place than a dinner place). But it’s going to cost some money and he’s having trouble getting a loan. He was in the construction business before this and went bankrupt when the economy crashed in 2008. That’s where Jeff Dortch comes in. Jeff is a member of First Baptist Church who used to be a banker. One of the things he does is consult with church members who have fallen on hard times. He takes a look at their finances and helps them come up with strategies to get back on their feet. I took him to lunch with me to see if he had any suggestions for Tahir. Tahir greeted us with a smile. He seated us at a booth. He asked the waitress to bring out some hummus and warm pita. And then he told Jeff his story, complete with his plans for renovation. You could see his eyes sparkle as he described the stonework, the arches, and the fountain he hoped to put against one wall. When he went back to the kitchen Jeff told me quietly that restaurants were notoriously bad investments. He wasn’t sure he would be able to help Tahir. But he also agreed, as he took another bite, that the falafel was delicious. Why am I telling this story on the 158th day of KOH2RVA, our year-long, every-member mission trip to bring the Kingdom of Heaven to Richmond, Virginia? Because my friend Imad Damaj (a VCU professor) knew a Muslim brother who was struggling to keep his restaurant going. He invited Bill Sachs (an Episcopal priest) and me (a Baptist pastor) to join him for lunch. He introduced us to Tahir and asked if we knew any way to help. I got in touch with Jeff Dortch and took him to lunch at the Old Jerusalem. And the stuff of which heaven is made. Yesterday I wrote about Jeremy and Monica, and how they invited some Muslim acquaintances over for a meal. I promised to provide some tips today about how you could invite your Muslim neighbors over. That may have been premature. I wrote to some of my interfaith friends yesterday and asked if they could help me come up with a list of suggestions. One of them put me on to an organization called Peace Catalyst International, that promotes “Love Your Neighbor Dinners” between churches and mosques, but it didn’t say anything about what you might serve for dinner. Another friend promised to send me something by the end of the day, but it’s 7:30 on Saturday morning and I still don’t see anything in my inbox. It’s possible that he has more important things to do than contribute to my blog. So, let me see what I can do on my own. First of all, you might remember that both Christians and Muslims are “children of Abraham.” Christians trace their religious ancestry back to Abraham through Isaac, while Muslims trace theirs through Ishmael, Abraham’s son by Hagar. Abraham was famous for his hospitality. When three strangers showed up in front of his tent one day, unannounced, he hurriedly prepared a meal for them (Gen. 18). One of them turned out to be God. Hinting at that event the writer of Hebrews says, “Do not forget to show hospitality to strangers, for by so doing some people have shown hospitality to angels without knowing it” (Heb. 13:2). And so, when that nice Muslim family moves in across the street get up (as Abraham did), go across the street, knock on the door, and invite them to dinner. What should you serve? Well, faithful Muslims follow some fairly strict dietary guidelines. They don’t eat pork. They don’t drink alcohol. And so you wouldn’t want to invite your new neighbors over for beer and barbecue. But you could do this: you could get take-out from a nearby Middle Eastern restaurant. Just ask if the food is “halal”—the Muslim equivalent of “kosher.” Or you could make a vegetarian meal. My friend Ammar Amonnette, Imam at the Virginia Islamic Center, says “Fruits and vegetables of any kind are an easy way to offer hospitality.” Whatever you do, don’t let the risk of serving the wrong thing keep you from inviting your neighbors over. Just tell them, “I’m kind of new at this,” and ask for their help. Soon they will be more than neighbors; they will be friends. And heaven will have come a little closer to earth. Back in September I had coffee with Jeremy and Monica, church planters who are working here in Richmond. They had visited First Baptist several times and appreciated our emphasis on reaching the city with the love of Christ. That’s what they’re trying to do, too. They are a delightful young couple who don’t look at all like you might expect “church planters” to look. It’s just one of the things I appreciate about them. When we had coffee I asked them if they would be willing to partner with us on our year-long, every-member mission trip. I said, “We’re trying to bring the Kingdom of Heaven to Richmond, Virginia, and it sounds like you are, too. We can’t offer you money, but we can pray for you and encourage you.” They said that would be perfect, and when I left that meeting I had this wonderful feeling that in addition to all our members who were out there bringing heaven to earth we had Jeremy and Monica, too. Some of you may have heard from us about an Egyptian Muslim family we came across last month. We were waiting to meet a friend at a festival, and this lady and her two sons sat next to us as a table. They started asking us about what we thought about Jesus, the Bible, the Koran, Mormons, Islam, culture, Egypt, American and global politics. This conversation went on for about an hour then they gave us their contact info and we invited them over for a meal. Now, they were previously complaining that Americans never “hang out” for more than an hour, so we had them over for 4 hours and just enjoyed a wonderful meal while talking about many of the same issues at more length. Finally, the mother shared her frustration with “American Christians,” so we decided it was time to share the gospel with her and help her remove her focus from “American Christians” to the person of Jesus Christ. We unpacked many elements of what it means to be forgiven by the Lord through the work of Christ, we talked about the Trinity (as they had been asking about that! ), and we talked about eternal life based on grace (not based on works). At the end of the conversation one of the sons said, “In Egypt, we could never have these conversations without everyone getting angry and screaming at each other.” And they went on to say that they were very appreciative of being able to have those conversations here in our home with freedom, grace and charity. No one was yelling, no one was being rude, we were all just taking turns sharing and asking questions and LISTENING! Please pray for Jeremy and Monica as they continue to build their friendship with this family, and consider their example of inviting your Muslim neighbors over for a meal, not so much to look for ways to convert them, but simply because this is what Jesus tells us to do—to love our neighbors. I believe that in the context of true friendship you will have plenty of opportunities to share your faith as well as to ask questions and listen, just as Jeremy and Monica did.